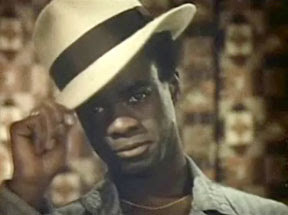 This man, Glynn Turman, was almost Han Solo. I've also been amazed by other facts such as the one where briefly the "Luke" character was going to be a girl. I thought this production sketch was of an early Han and Leia, it's not. It was of Han and the unnamed female protagonist. But that's not what I'm really here to talk about. You might remember him as my girlfriend. As far as you know. I think his hat is perfect for Cub. He gets killed like twice in Angry Planet. Who doesn't love that? ;-) He's gonna ROK!